Books in New Frontier Craft are similar to modern with some changes: Their appearance is different, NFC books lack the ability to have fancy colors or fonts, NFC books have a title page with more information, NFC books do not display their name when you mouse over it, and NFC books can have 100 pages of information. Outside of that, books are the same, including aspects like: Signing books and having them not editable after that, copying books, and not being able to copy a copy of a copy. 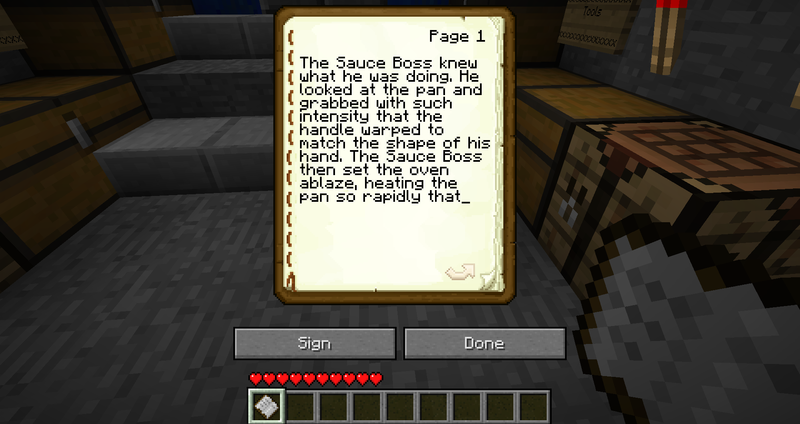 On the surface, books are a fun background addition that adds a new dimension to Minecraft: Literature. Books are either used lightly or not at all by players. In the code of the game, Books are actually a rather large addition. That said, I plan to expand on books greatly by using this platform to add something much greater to the game: Lore. 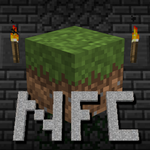 I remember back in the day, when I first started to fully grasp Minecraft, always wishing there were books to write in. It took a long time until I actually saw them in Minecraft. 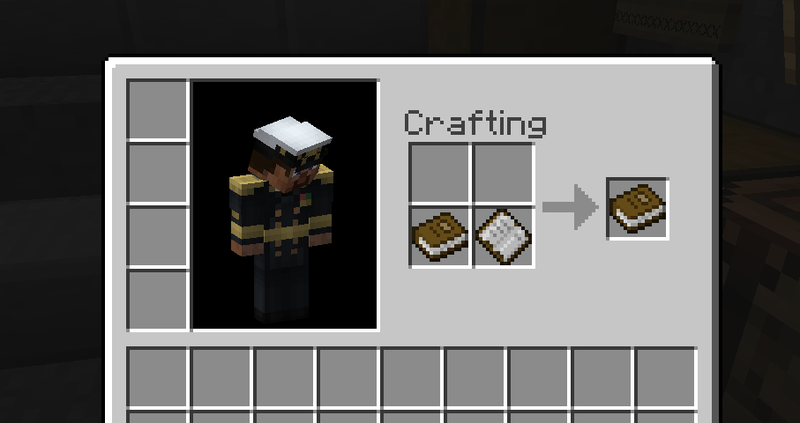 So, once I started seriously developing New Frontier Craft, I decided to actually add books to Beta. 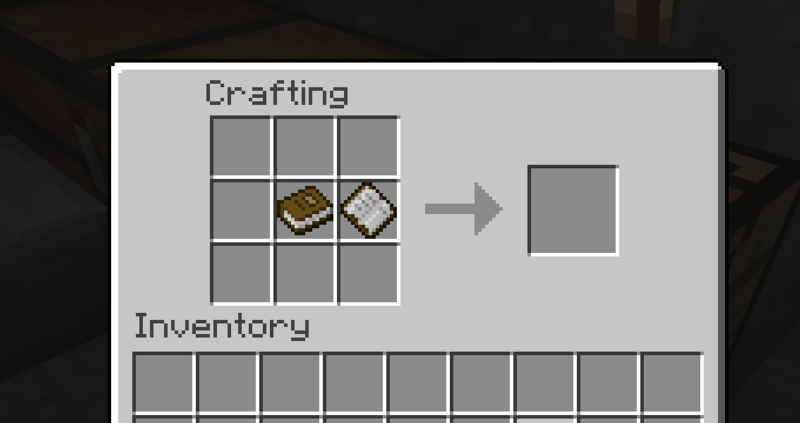 They are basically back ported modern books, but that was not easy at all as books use a lot of code in modern Minecraft that is not in Beta. 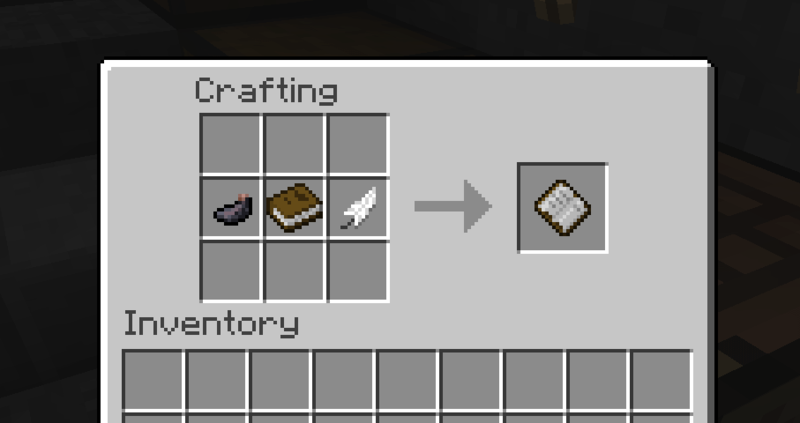 Hence, adding books actually ended up teaching me a lot about how Minecraft worked.